I’ve definitely got a set of likes and dislikes when it comes to fragrance; I adore anything woody, fresh or citrus, but I ditest anything too floral or too sweet. Most of the perfumes in my collection are from brands including Jo Malone, Shay & Blue and Miller Harris – although there’s also a sprinkling of fashion brands (including Chanel, YSL, Burberry and Chloe) to keep my reportoire current, on-trend and also elegant. Generally speaking I bypass anything that’s too ‘high street’ or ‘celebrity’ and anything that’s pink and sparkly, mainly because they’re either too sweet or too floral for my personal tastes. That’s not to say they don’t have value, but they’re usually not my cup of tea. I say usually, because sometimes something comes along and pleasantly surprises your nostrils and puts your inner scent snob in its place. 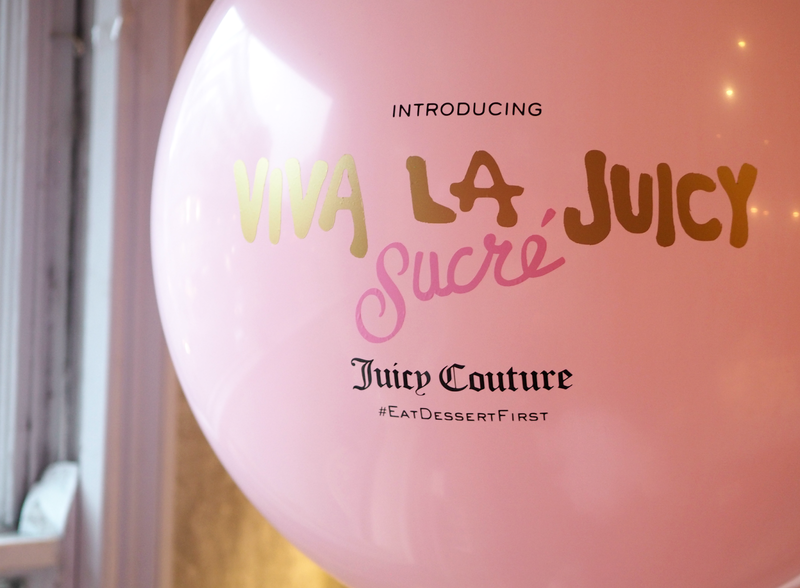 they come along and launch Viva La Juicy Sucré and prove that you’re never too old for a touch of OTT bling and a spritz of something sparkling. base notes of vanilla extract and sandalwood provide a creamy warmth alongside crushed cocoa beans. I was all ready to sniff this and feel a little overwhelmed (I actually packed headache tablets for the launch event, just in case!) but as soon as I breathed it in my nostrils relaxed and appreciated the uplifting notes for what they offered. 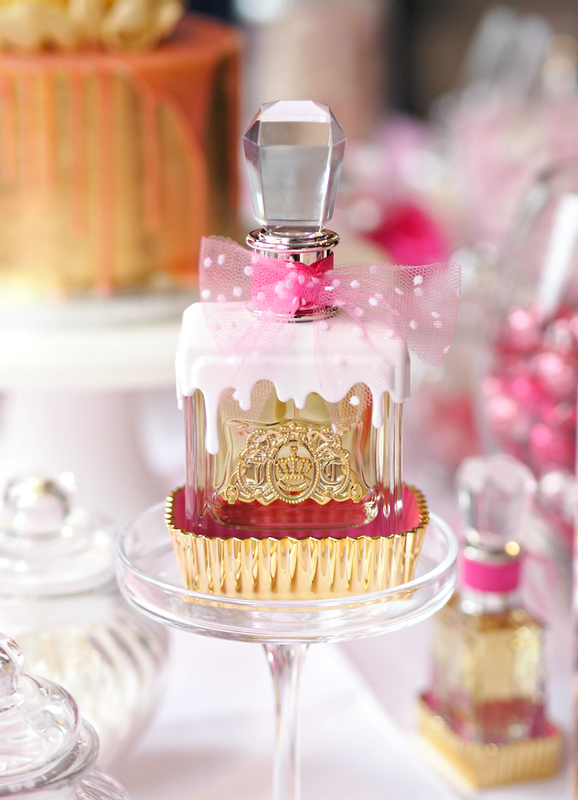 Although this is sweet, it’s not sugary sweet; the fruity notes and sandalwood ensure the sweetness of the vanilla and cocoa is kept secondary to something all the more wearable. 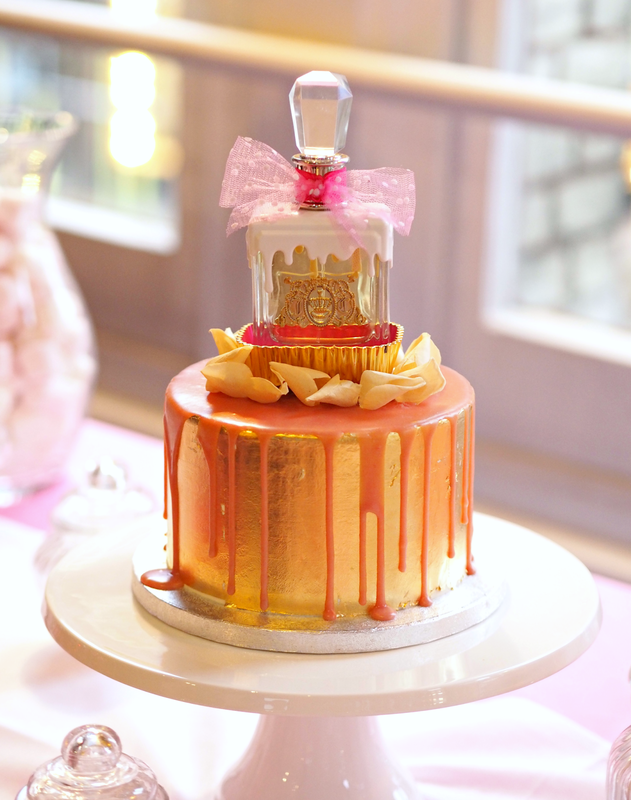 Although the rather extravagant marketing campaign is all about sugar overload, don’t let that put you off having a sniff for yourself; although the juice nods to sweetness, the composition is more like a yummy cake with a touch of sugar on top than a box of chocolate you immediately devour. It may not be something I reach for daily, but it’s definitely something I could learn to love over time. 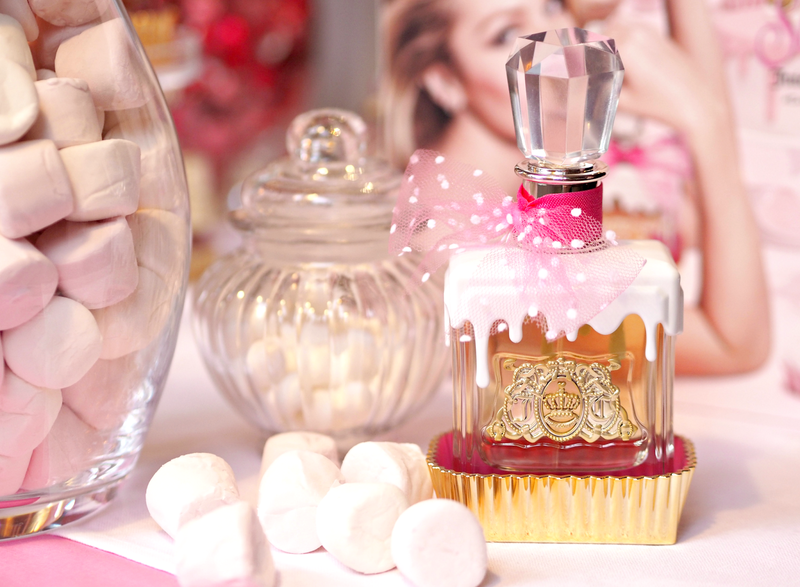 Whether you’re obsessed with sweet scents, love the rest of the Juicy fragrances or simply want to explore Viva La Juicy Sucré for yourself, then you can get your hands on it right now. You’ll either love it or hate it, just like the tracksuits. Next Post Do You Struggle Getting Your Eyeliner Straight & Even? You NEED The Beauty Blender Liner Designer! The track is back too apparently! It's being stocked in Topshop!